The Honda Aircraft Company has selected FlightSafety International to be the HondaJet simulator provider and the HondaJet training and type rating provider. FlightSafety is currently preparing the first full motion, level D, HondaJet simulators for activation later in 2012. The HondaJet simulators are expected to be available by the middle/end of 2012 to provide training for the first HondaJet pilots. 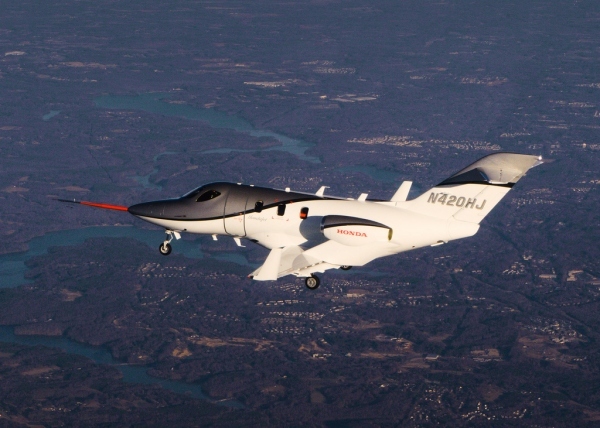 Other HondaJet simulator providers are likely to show up after the aircraft has been certified by the FAA. We have not spotted any HondaJet Simulators for Microsoft Flight Simulator or X-Plane. Currently an accurate flight model can not be provided until the HondaJet is certified. The HondaJet Simulator are also referred to as the Honda Jet Simulator, HA-420 Simulator and the HDJT Simulator. Above HondaJet Simulator Photo by Honda News on Flickr. Photo (only) released under a Creative Commons License.